Alex Hellum is a furniture and product design company based in Hertford, UK. Our design ethos is based on observation, utility and honest use of materials. Working closely with UK based producers, we design and manufacture furniture and product in small volumes, selling directly to the public and to interior designers. This own brand part of the company is where we retain creative freedom over design and produce to order. As a designer Alex Hellum also works to brief for esteemed manufacturers, creating products and furniture for brands including Heal’s, Thorsten Van Elten and Ercol. The Alex Hellum studio takes on commissions for both private and commercial clients, working on interiors projects and designing the products for them. Born in Larvik, Norway in 1966, Alex Hellum is a furniture and product designer living and working in the UK. He first trained at The Buckinghamshire Chilterns University College between 1992 and 1994 and then went on to study Furniture Design at the Royal College of Art, graduating in 1996. After graduation Alex received a grant from the Craft Council and set up his own design practise. He has worked on numerous private and commercial design commissions and has designed products for Heals, Thorsten Van Elten and Ercol. In 2001 Alex held his first solo show entitled thoughts on furniture in Stavern, Norway. With support from the Norwegian Design Council the exhibition went on to show in Oslo in 2002. The exhibition explored how we use furniture beyond the intentions of the designer. Alex also returned to his former college and began teaching on the Contemporary Furniture Design Course at The Buckinghamshire Chilterns University College, where he remains as the first year tutor. 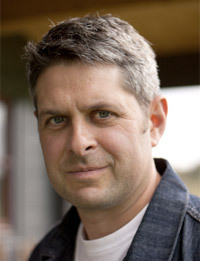 In December 2005, he also began teaching at Kingston University on the Product and Furniture Course. Alex Hellum has developed a distinctive design style based on observation, utility and honest use of materials. His starting point is often a pragmatic one, watchful of use he asserts that in design there is always a practical solution and believes part of the role of designer is to give reason for things to exist. Alex is very much a hands on designer, creating objects that have natural longevity in both build and function. His sensitive use of wood and reclaimed materials gives his designs their character, depth and integrity.